Safety gear and motorcycles go hand-in-hand. Or at least they should. 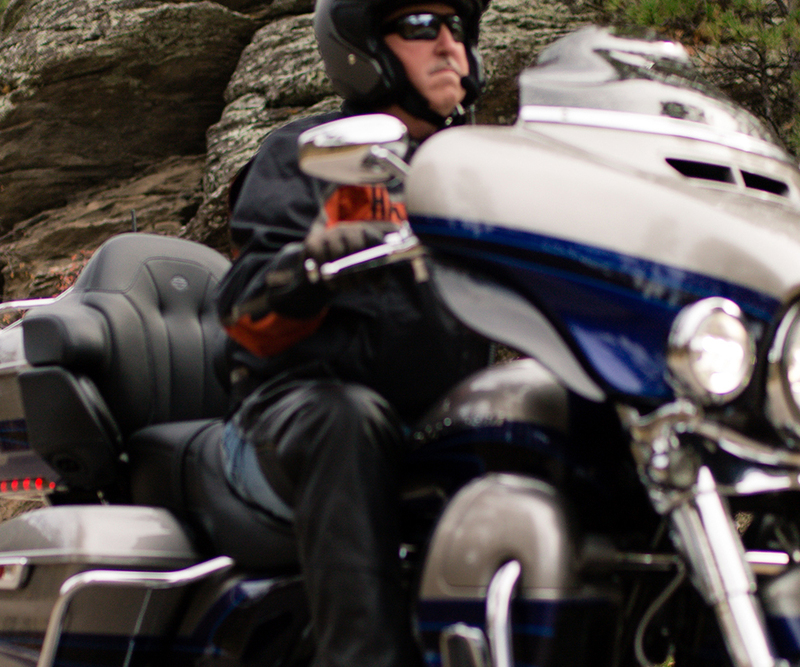 Safety is essential to making sure your next ride isn’t your last. So let’s start from the top with the helmet. Riding a motorcycle is a symbol of freedom and living life a bit rebelliously. But to live life on the edge, you have to be alive. Cue the helmet. Hands down, a helmet is the most important piece of gear you can put on your body. In fact, wearing a helmet reduces the overall risk of dying in a crash by 37 percent. There’s no amount of training or experience that can guarantee your safety from an accident. Even if the law doesn’t require you to, take action and protect yourself—put on a helmet. Being hardheaded just might save your life. While the importance of wearing one is clear, purchasing a helmet can be a daunting task. With technological and safety advances, there are a lot more features to choose from than just size and color. This type of helmet was designed to protect not just your head but your jaw and face as well. It covers the top, back and front of your head and is set apart from similar helmets by its chin bar. If you’re looking for the best protection – and you should be- a full face helmet is the best recommendation. Open face helmets are structurally very similar to full face helmets except they have no chin bar and often no face shield either. An open face helmet will let you feel more wind on the road, but it also opens up the possibility of more injury in a crash. Known as the Optimus Prime of helmets, modular helmets are able to transform from a full face helmet into an open face helmet. The chin bar flips up or can be removed entirely to offer you the best of both worlds. More common among the scooter and cruiser community, half helmets offer the most minimal protection. Due to the lack of safety features, they are extremely lightweight. The most unique of the bunch, off road helmets come with specific features meant for riders who race motocross. They’re equipped with a sun visor and an elongated, angular chin bar. Built to minimize weight and maximize ventilation, off road helmets are not suggested if riding on highways. Dual-sport helmets are a hybrid of an off road and full face helmet. They have a sun visor and great ventilation but provide a little more warmth and sound proofing than an off road. If you’re a versatile rider looking for a helmet to take on and off the road, the dual-sport is a good choice. Now that you know a little about each type of helmet, it’s time to decide which is the best fit for you. Pulling the trigger on a helmet is the second most important purchase (behind buying your bike, of course) so take your time and choose a helmet that’s stylish and comfortable so you’ll want to use it. Try options on in person and check the fit. A helmet should be snug—tight enough that it will stay on your head but loose enough you can wear it for long periods of time without getting a headache. Take into consideration safety ratings and features, and be sure to always wear a helmet that’s US Department of Transportation (DOT) approved. You invested in your bike; don’t forget to invest in your safety.